Some of the benefits of the newer Neo4jClient versions are the general move away from using Node / NodeReferences and going for a more consistent Cypher only approach, so I’ve updated the code by Sergey to use the 2.0 stuff (as part of the process of answering this StackOverflow question). BTW: It should be noted, I am not an F# developer, so any corrections are warmly received! I’m using VS2013 and I’ve created a new FSharp Console Application for this, which I believe is a different approach to Sergey, but I think you can do the same ‘script’ approach he has, but with this code (below) and we’ll be cooking. Here we’ve attached a ‘Person’ label to our person being created. Note, there is no use of the ‘Relationship’ classes here, we’re shifting away from them. 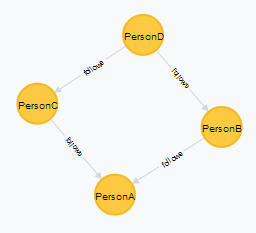 Now we need to define our knows function, I’ve modified the function signature here to allow us to use Parameters which is better for Neo4j on the whole, plus we don’t really want a load of ‘Knows’ relationships with different data structures. route. Maybe someone can figure out how to get that to work, which would be awesome! as the ICypherResultItem is defined there. I'm not sure it's an improvement on the legibility of the code (at least from a non-F# dev's point of view) but it does work. I've added another Gist (https://gist.github.com/cskardon/8300420) for anyone interested in just getting all the code. F# is fine, it is a classic method overload inference issue.